The first serious camera Timor Kodal held in his hands was his father´s Canon AE-1 in 1984 and ever since has been fascinated by the art of photography. However, the years to come were primarily dominated by Timor's devotion to playing piano and composing music, finally leading to a fairly successful career as an electronic musician under the pseudonym "teamore" and a strong involvement in Berlin´s netaudio-scene, which peaked in the foundation of the netlabel and netaudio-community "pulsar.cc", a royalty-free party-concept called "net-lag" and a series of festivals he was organizing in Berlin and London. Shortly after the replacement of his dusty old Canon AE-1 with his first DSLR, a Canon 400D, his passion for photography received its next substantial impetus from a trip to Granada in 2007. Timor's arousing interest for portrait-, nudes- and fashion-shoots led to an aggregation of studio equipment and finally to again replacing my camera. The Canon 5D II (along with an EF 24-105mm 4.0L) purchased in preparation of a trip to Japan in February 2011. 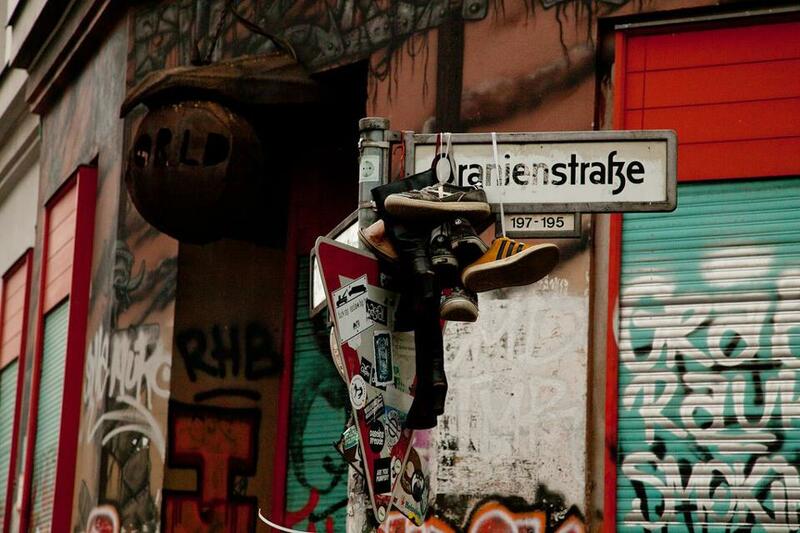 Putting a focus on society, urban life and decay along with street arts in my photo-journalistic work, I could not live without Berlin, my beloved native city. This metropolis with its manifold art- and music scene and its eventful history provides an immense wellspring to draw ideas and suggestions from, making it easy to find utterly talented artists to cooperate and share inspirations with. However, I also would not want to miss the abundant impressions I derive from my travels. Most interesting or memorable shoot to date? My first ever indoor studio shoot with a professional stylist and makeup-artist was pretty exciting. Nevertheless, I well prefer shooting outdoors with available light to arranged setups, therefore all my photo-journalism jobs were very fulfilling to me. My hitherto urban exploration field trips have been very exciting and memorable, too. Other creatives we should know about? An artistic fashion or nudes shoot in the decaying ruins of Detroit. Most interesting response to your work? The overwhelming feedback I have received for my "bathtub" image in the context of my photojournalistic coverage of the protests and parties taking place on the streets of Berlin-Kreuzberg on May 1st, 2012. Myself. I am a passionate photographer focusing on journalism, (urban) society, people, portrait and nudes photography, and I am always up for exciting new projects.